Today is going to be another Non-veg chicken recipe. 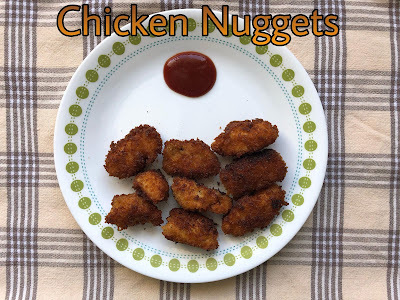 Story behind this recipe - My kid is a big crazy fan of store bought Chicken Nuggets. She is literally addicted to it. Somehow i managed to pull her out of it and thought of trying this home but in Indianized form. So, lets move on to the recipe. Marinate chicken pieces in Buttermilk for 5 hours or even overnight is fine. After marination time. Take out the chicken pieces, drain the excess buttermilk. Take "For Coating 1" and mix it with water until it reaches dosa batter consistency. In another bowl, mix all the ingredients in "For Coating 2". In another late, add Panko Breadcrumbs as needed. 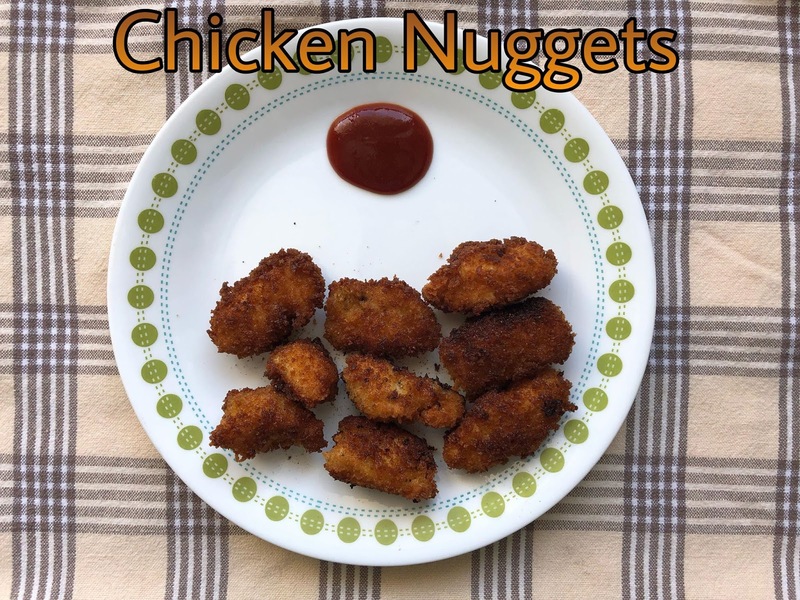 Take a piece of chicken piece, dip it in "Coating 1"(Maida & Corn flour mixture) bowl, then dip it in "Coating 2"(Egg Mixture), then roll it in breadcrumbs. Place it in a plate. Keep repeating the same process for all the chicken pieces. Heat oil in a pan, when its hot, shallow fry the coated pieces in batches in medium flame and serve hot with ketchup. Note: You can also add italian seasoning in "For Coating 1" by replacing the red chilly powder.